Open Sea Dolphinarium where you are can meet the most beautiful mammals Dolphins, and have lots of fun with them. There is a lot of programmes and exciting interaction with the mammals happening at Cayo Santa Maria dolphinarium. A great way to educate, entertain and learn, an unforgettable experience with the worlds most loved animals. Swimming with dolphins is just a dream for many people, especially children. 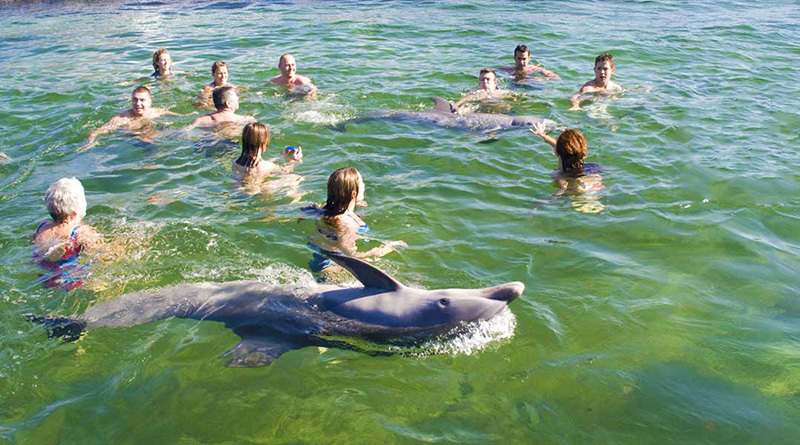 During the encounter of 30 minutes swiming with dolphins, they genuinely enjoy the interaction with humans. you’ll get the chance to enjoy the intelligence of these fascinating animals and performing many tricks with these graceful mammals. Dolphinarium staff will give you a briefing on safety measures and requirements to swimming session. You should not: do not applied suntan lotion and not wear jewelry as it may harm the dolphins. You’ll get the chance to enjoy the intelligence of Dolphins, 20 minutes swiming with Dolphins and the Sea Lions Show. The tour also included seafood dinner at the El Bergantin restaurant. Cayo Santa Maria an collection of idyllic world’s greatest beaches, Caribbean can offer. Picture perfect beaches with white sands and turquoise waters are: Cayo Ensenachos and Cayo las Brujas. The Beaches: Playa Ensenachos, Playa Salina and Playa Megano. All the beaches of Cayo Santa Maria are public, excluding the hotels beach areas. 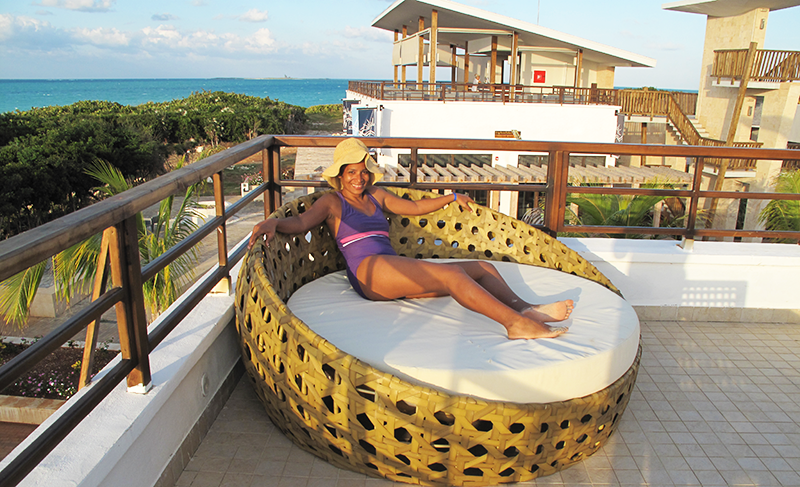 Cayo Santa Maria a has few tourist towns, are not included in all-inclusive package. 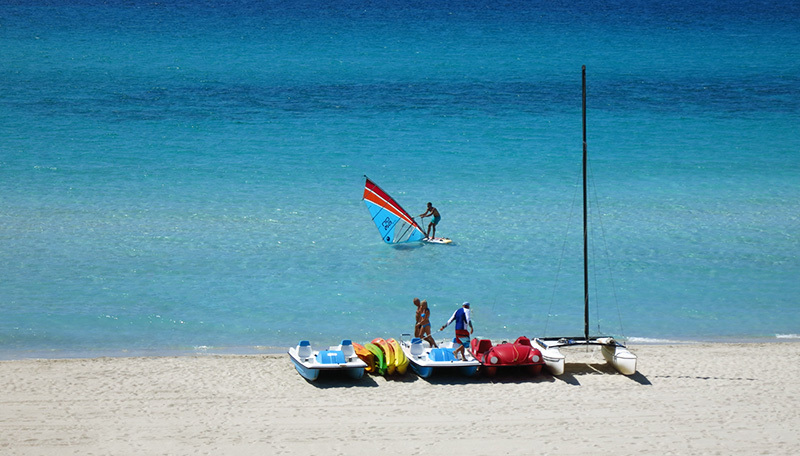 Located between hotels Melia Cayo Santa Maria and Melia Las Dunas, with access from the hotel Las Dunas. 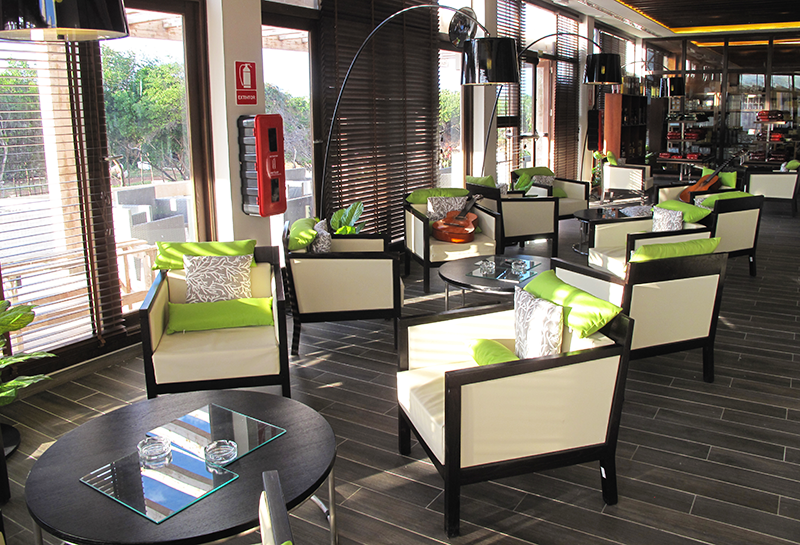 Several services are available, including a nightclub, bars, restaurants and Souvenirs shops. Located between hotels Starfish Cayo Santa Maria and Memories Paraiso Azul with easy access from the Memories hotel. It's a really nice place to visit, offers: many bars and restaurants as: Sushi place, Steak house, Italian. Disco club and Bowling, Ice cream and Souvenirs shopping. There is also high tower with panoramic view on Cayos and the sea. Located beside the Hotel Ocean Casa del Mar, with easy access from the hotel. The small town offer: modern beach bars and restaurants, Habano House Club with Cuban rums, coffee, cigars and Souvenirs shops. Habano House Club with live Salsa music, Cuban rums and Cuban cigars. Pueblo Las Terrazas del Atardecer offer panoramic view on ocean. As well a modern Bowling and Party saloon. VUDU Nightclub and Discotheque open from 10 pm. 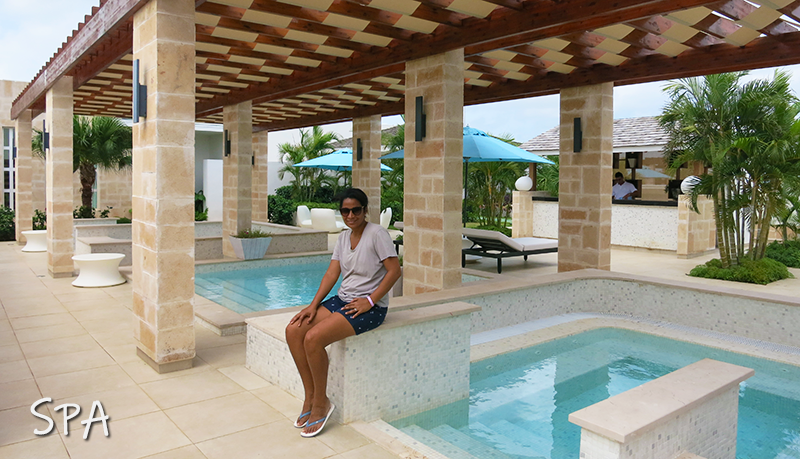 New Tourist's town Las Salinas is a SPA and entertainment spot, located near the hotel Sercotel Cayo Santa Maria and Dhawa Cayo Santa Maria at the beautiful beach of Playa La Salina. 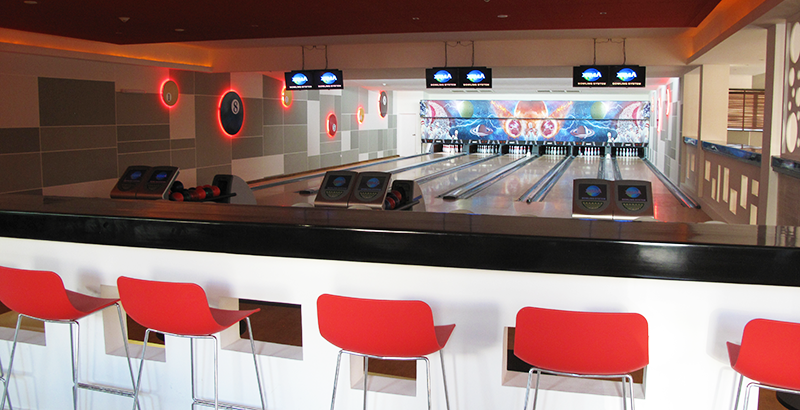 Offers: restaurants, bars, discotheque and bowling. 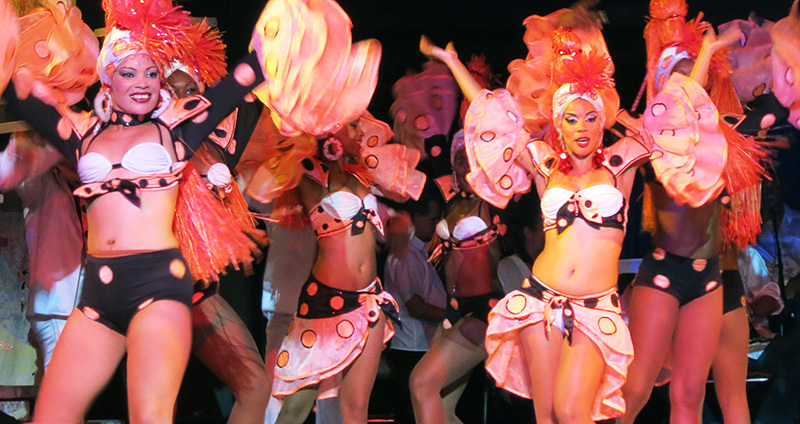 All hotels in Cayo Santa Maria offer night time entertainment and varieties of night shows. The resorts provides much of the nightlife including night clubs, salsa evenings, cabaret and disco. You can dance away the whole night on the sand at a the beach bar. Panoramic Bus Tours scenic round trip service bus is available in Cayo Santa Maria, the Bus Tour connect all hotels and major attractions in Cayo Santa Maria. 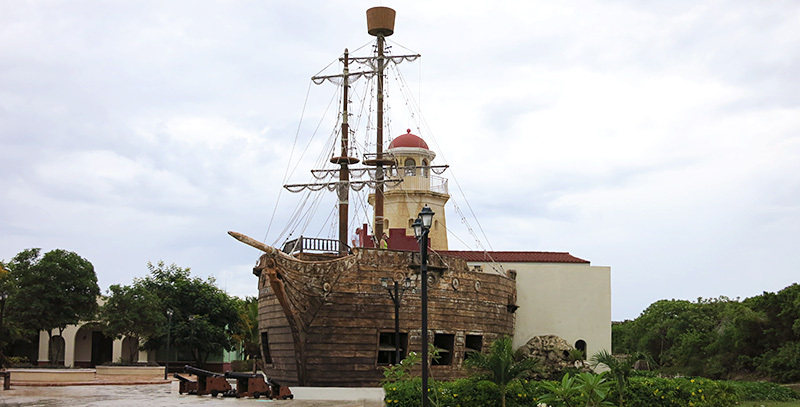 Dolphinarium, Cayo Ensenachos, Cayo Las Brujas and all the pueblos: Las Dunas, La Estrella, Las Terrazas and Las Salinas. Just relax in pueblo Las Terrazas del Atardecer.